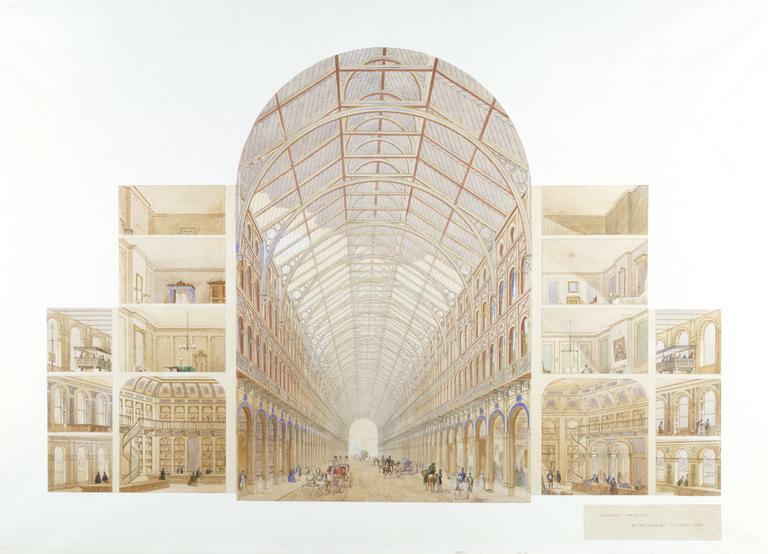 This ideal scheme (never built) was an extension of the principles Paxton used in the design of the Crystal Palace. The intention was to form a covered way, circular in its route, which would keep out the dirt, rain, fog, smoke, damp and cold of the London climate. 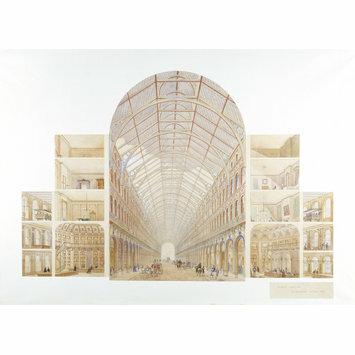 Paxton proposed using the recently invented smokeless pneumatic railway, in conjunction with covered streets, lined with high-class shops and superior dwellings, to make what was, from the point of view of transport facilities at least, a prophetic forerunner of the Circle Line, which now largely uses the route that Paxton put forward. 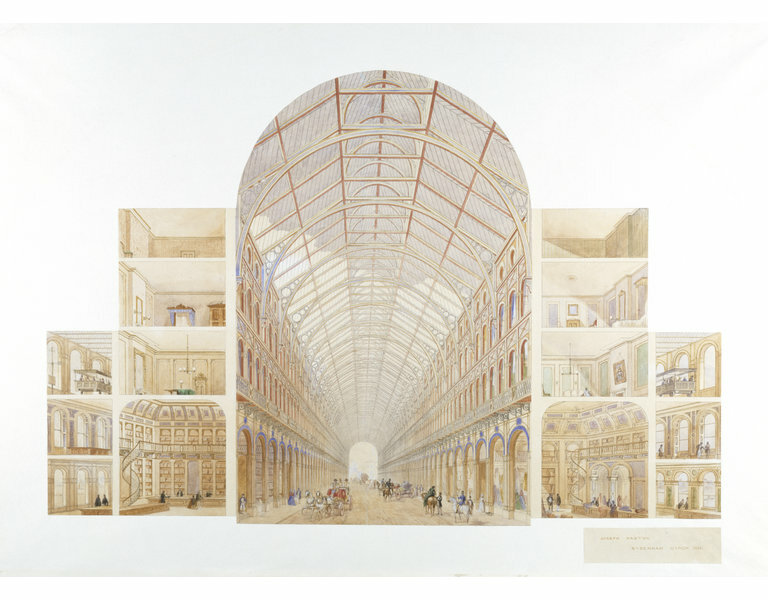 Watercolour design drawing; a section showing perspective view and details of a vaulted cast iron and glass structure, shops, residences and a pneumatic railway. Scale approximately 1 inch to 6 feet. On wove paper remounted on modern paper. After Paxton's death, this design was inherited by G. H. Stokes (architect and son-in-law of Paxton) who died in 1874. It finally went to T. H. Thorpe, architect, of 23 St James Street, Derby, and was sold by this firm to the Museum.